What a sweet card. The bear is so cute and I love the pretty paper. This is gorgeous Sylvie. 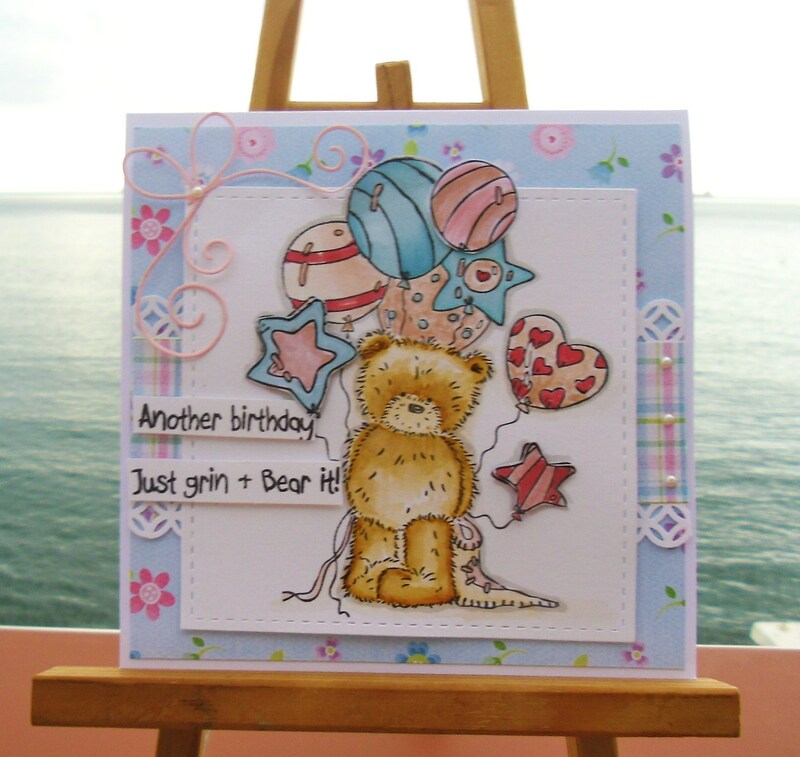 I love the cute bear, fabulous colouring and pretty papers. 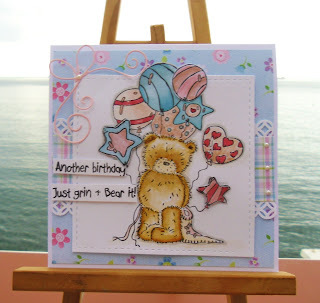 Gorgeous card Sylvie, love the very cute image and pretty design. Gorgeous card Sylvie, I like the sweet image, the colours and the die cut swirl. Cute card. Thanks for joining our challenge at the Hobby House. Hope you are keeping ok. Sending big hugs across the sea. Hi Sylvie, how cute is your bear. Love the colours and the papers are gorgeous. Jonathan is doing ok, he is 17 in August!!! He has a job now, he is saving hard for a car!!! Cute card Sylvie. I know how to take word verification off , but it's there tos top the spam sorry.